Your welcome bonus consists of 10 bonuses of £5 up to a maximum total of £50. Bonus will expire after 7 days from registering. This offer is only available to New Customers from the UK making an Initial Deposit of £20 or more. Customers depositing via the following deposit methods are not eligible for the Welcome Bonus: Skrill & Neteller. The bonus consists of £5 for every £100 wagered. This large betting site is packed with all sorts of gambling opportunities, including plenty of thrilling casino games that tick just about every box there is. This is a place for those who like to bet and bet hard! Though even if you’re not a serial bettor, you’re sure to find this casino worthwhile, so be sure to sign up and claim your generous welcome offer today! The casino games at Bethard Casino come from over half a dozen providers, with the line-up including some of the most popular and successful providers in the industry. At the casino you’ll find games by NetEnt, Quickspin, SBTech, iSoftBet and more. Bethard is mainly a sports betting site, though its online casino is certainly worth checking out, if only for its games collection. There’s a good number of games you can play at the casino, including plenty of slots and progressive jackpots, table games, live casino games, video poker games and other games. The collection comes from a selection of top providers and even includes a few proprietary live games by Bethard Casino itself. It’s large and diverse enough that players of all tastes are sure to find plenty of games they’ll enjoy playing. The games are split into various type-based categories to make finding particular ones a lot easier; there’s also a search bar provided and a separate category for the casino’s top picks. Compared with what other casinos have to offer, the games collection at Bethard Casino is quite good indeed as it has all bases covered. The collection of slots at Bethard Casino is made up of over 300 slots, including many of the most popular ones you’ll find at online casinos today. They come from some of the best known providers, so if you regularly play at online casinos, you’ll no doubt find plenty of your favourites ready to play here. Some of the casino’s top picks include Archangels Salvation, Starburst, Neon Staxx, Gonzo’s Quest, Guns N’ Roses and Thunderstruck II. Along with fixed-jackpot slots, the casino has just over a dozen progressive jackpots, some of which have the potential to offer very large, life-changing sums of money. Some of the progressive jackpots you can play include King Cashalot, Treasure Nile, Divine Fortune and Mega Fortune. The collection as a whole includes a good mix of slots that’s sure to appeal to a broad range of players. 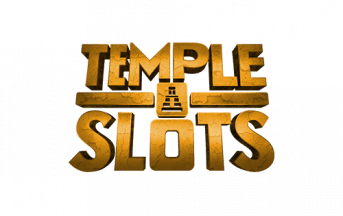 It has plenty of new slots, with some of its newest additions including Witchcraft Academy, Jumanji, Wild Swarm and Turn It Up. There are nearly a dozen live casino games at Bethard Casino you can play. Nearly all of them come from NetEnt, though two of them appear to be proprietary games exclusive to the casino. The collection is made up entirely of blackjack and roulette games – some examples include Bethard Live Roulette, Live Blackjack Standard, Live Auto Roulette and Live Blackjack Standard Pro. These games enable you to experience what it’s like to play live casino games from the comfort of your own home. The table games collection at Bethard Casino is made up of 14 roulette games, 18 blackjack games and over a dozen other table games, such as Caribbean stud poker, Texas hold’em and casino hold’em. For quite a few of the games, there are several options available to suit players with different budgets. For example, Single Deck Blackjack Pro has a High Limit version for those with lots of money to spend and a Low Limit version for those on a budget. Six payment methods are accepted at Bethard Casino, including Visa and Mastercard, Skrill, Neteller, PaySafeCard and Trustly. All of these can be used for making deposits, though PaySafeCard can’t be used for making withdrawals. If you’ve made a deposit using this payment method, you’re advised to use Trustly to withdraw your money. Withdrawal times are quite fast and you can expect to receive your winnings within 12 hours if using an e-wallet or three to five days if you’re using a debit or credit card. The welcome offer at Bethard Casino works a bit differently to normal welcome offers. 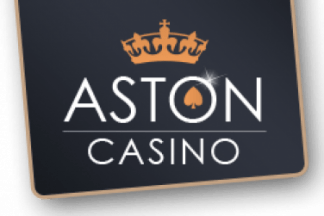 Once you’ve signed up, during your first week at the casino you’ll receive a free £5 in bonus money for every £100 you wager; the highest amount of money you can claim from this offer is £50. Deposits made with Skrill or Neteller aren’t eligible for this promotional offer. Once you’ve signed up, during your first week at the casino you’ll receive a free £5 in bonus money for every £100 you wager; the highest amount of money you can claim from this offer is £50. Deposits made with Skrill or Neteller aren’t eligible for this promotional offer. Bethard Casino doesn’t appear to have a VIP club or loyalty scheme. Bethard Casino doesn’t really have much in the way of theming and is designed in a similar way to lots of other online casinos that are part of a sportsbook. It has a black and yellow colour scheme, with the games taking centre stage. Despite there being plenty of links to all sorts of useful pages, the casino’s webpages never feel too cluttered or crowded. The mobile casino is also quite well designed and is aimed at those looking for a smooth and convenient mobile gambling experience. It offers a very good selection of the desktop casino’s games and promises fast loading times, as well as easy navigation. If you’re looking to access Bethard Casino while on the go, another option besides the mobile casino to consider is the app. It’s designed to be fully responsive and intuitive, and is compatible with a broad range of iOS and Android devices, including most smartphones and tablets. It comes with most of the casino’s games and offers the sports betting part of the Bethard site as well. It’s a well designed app that offers smooth navigation, fast loading times and plenty of good-quality mobile friendly games. Bethard Casino is the casino section of the Bethard sports betting site. It was established in 2014 and has been fairly well received thanks to its extensive and varied games collection, which includes plenty of popular games by a selection of the industry’s top providers. Customer support is available round-the-clock and withdrawal times are quite fast compared with most other online casinos. There aren’t too many promotional offers and the welcome offer isn’t that generous compared to what other online casinos have to offer – plus, you can’t actually claim it if you’re using Neteller or Skrill. There’s also no VIP club that you can join and earn rewards from. Still, signing up to Bethard Casino is very much still worth it, especially since you have access to a fully fledged sports book as well as a collection of over 300 casino games.